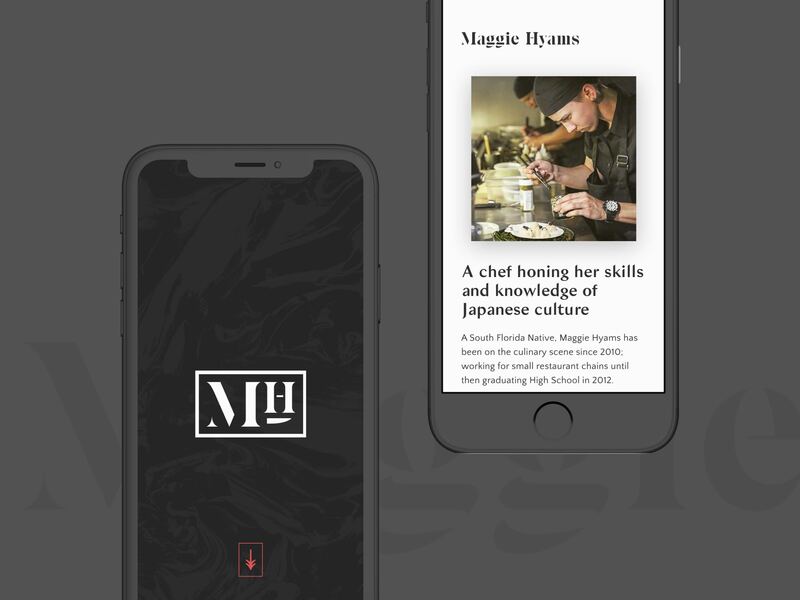 Maggie Hyams is a chef honing her skills and knowledge of Japanese culture, and also in need of a personal brand. 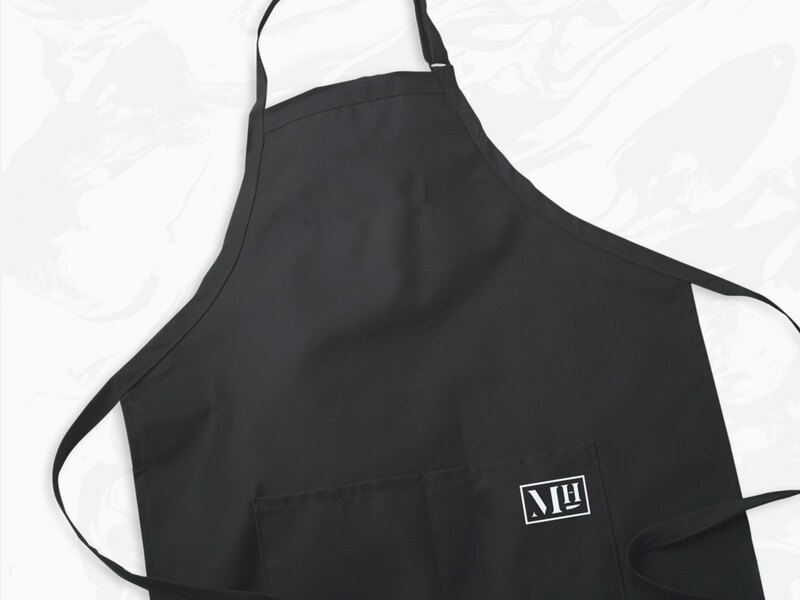 The goal was to create a contemporary visual identity to stand out in a sea of culinary artists. 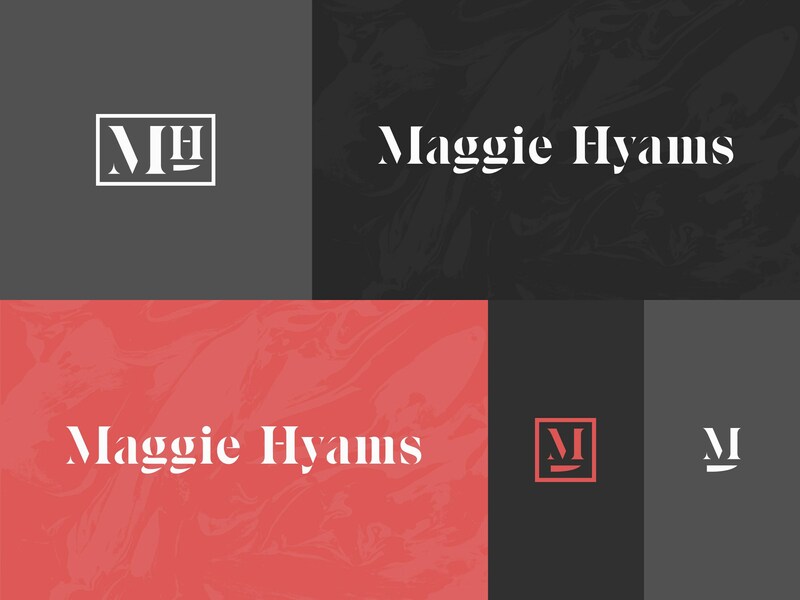 The wordmark is the baseline of her visual identity, set in a stencil serif. 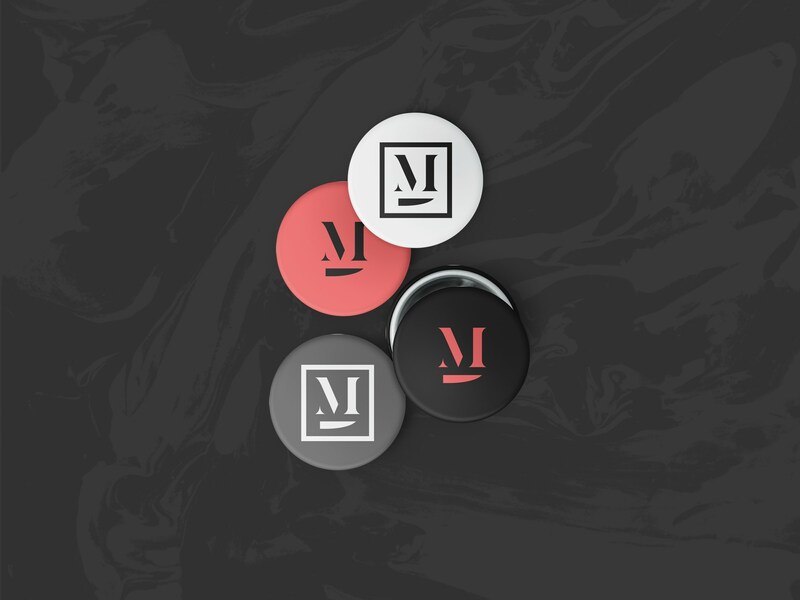 The elements inside of her brandmark and lettermark represent her profession. A cutting board as a border, and a knife blade as an accent piece. The icon option is most useful in small, digital spaces such as avatars and favicons. A bold color palette pulls inspiration from basic elements found in the kitchen. Surfaces, ingredients, and elements are all accounted for. 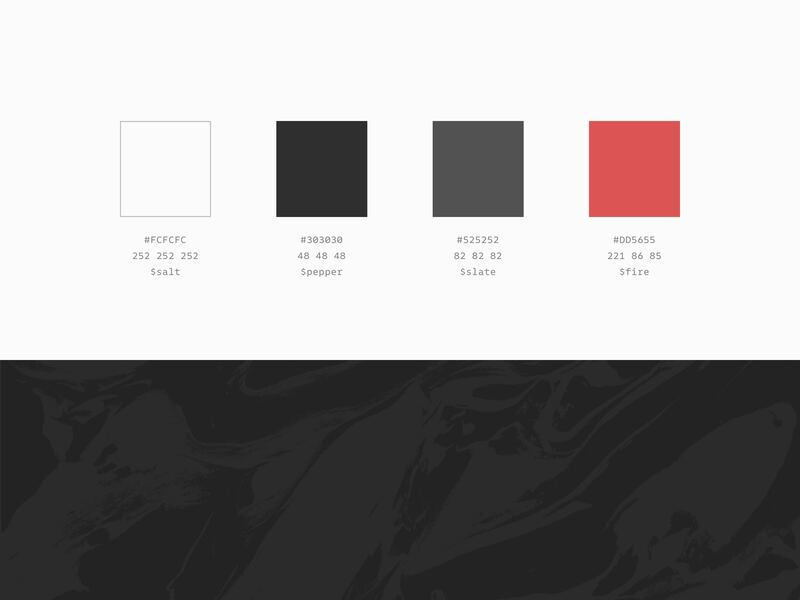 Marble, often utilized for counter tops, is a texture applied to designated backgrounds. When used, this helps break up unwanted negative space. 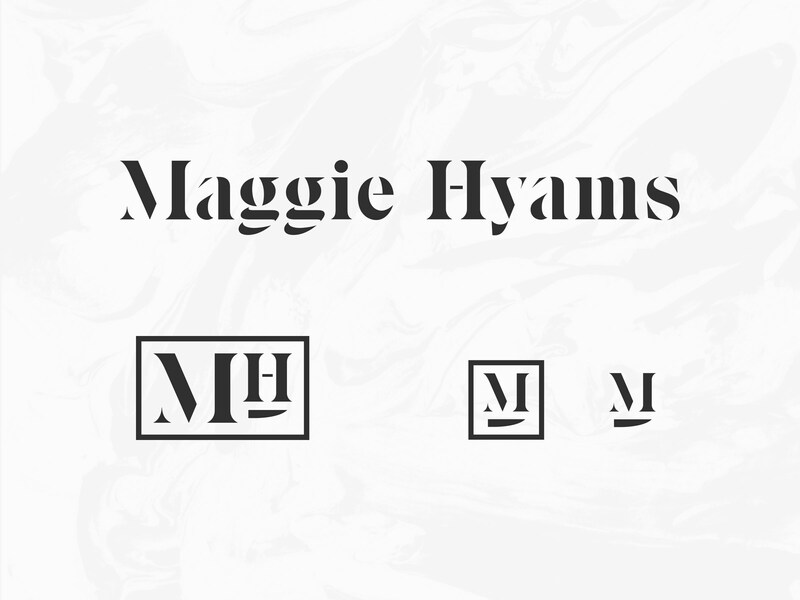 Recipes are open source by nature, and Maggie's type system reflects that. Titles use Bagnard Sans. Its inspiration comes from the graffitis of an anonymous, Napoleonic War prisoner. Labels, also referred to as eyebrows, use Oswald. It's a reworking of the style that represents the ‘Alternate Gothic’ sans serifs. 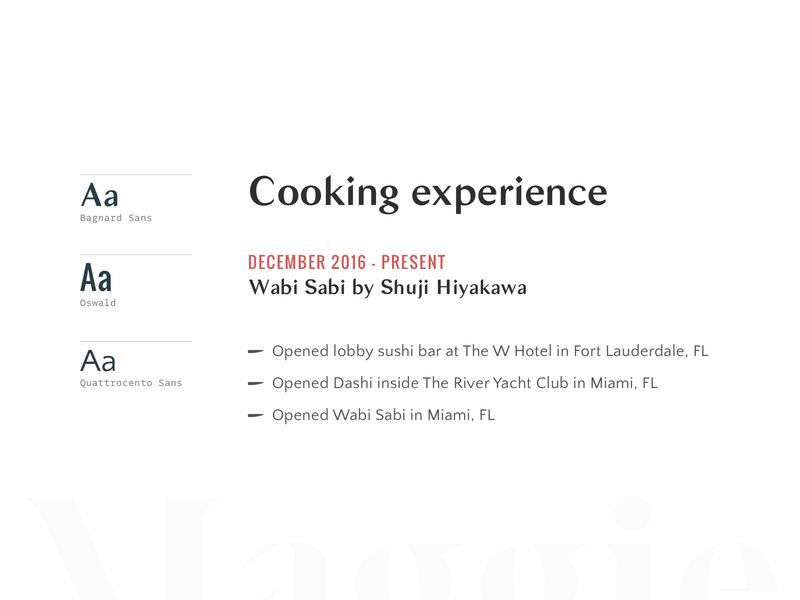 Body copy uses Quattrocento Sans. It's a classic, elegant and sober typeface. Warm, readable and not intrusive. 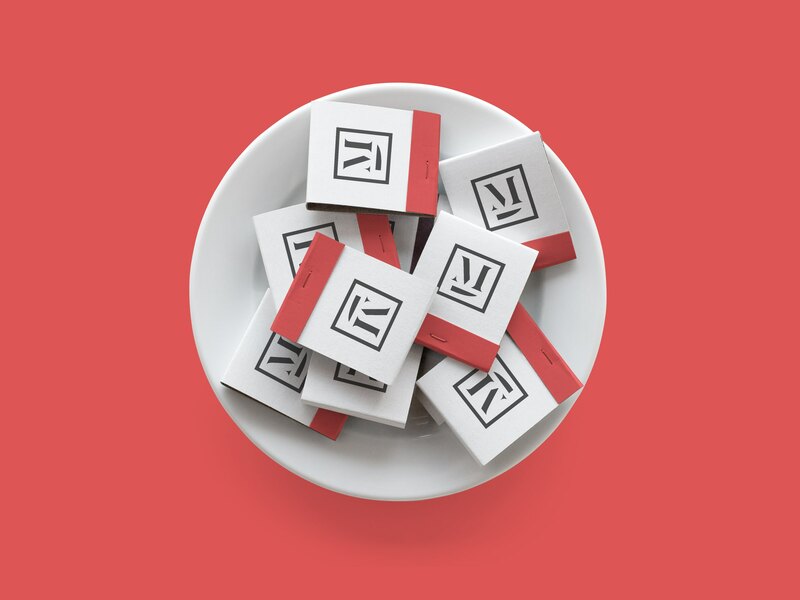 Applying Maggie's system to tangible items shows the flexibility of her visual identity. It's a reflection of how a chef reacts to any situation in the kitchen. 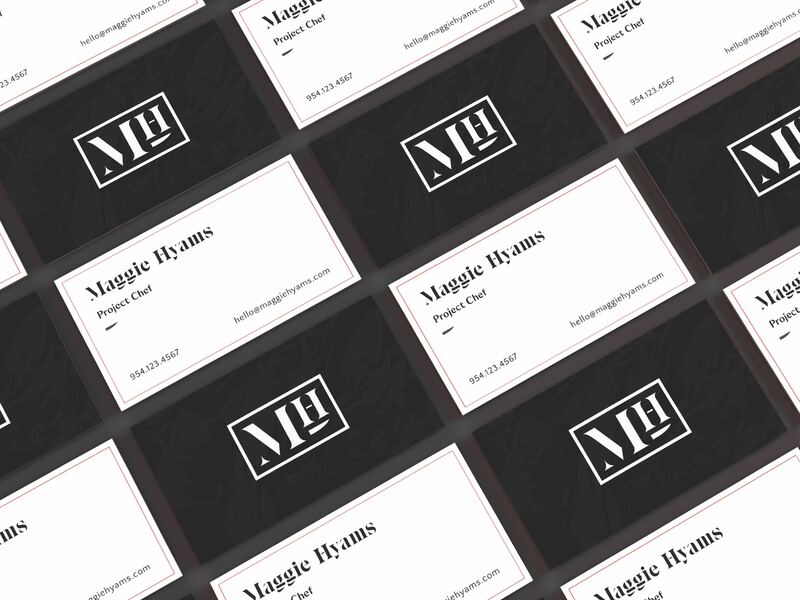 Maggie's visual identity shines with minimal effort, regardless of the application. 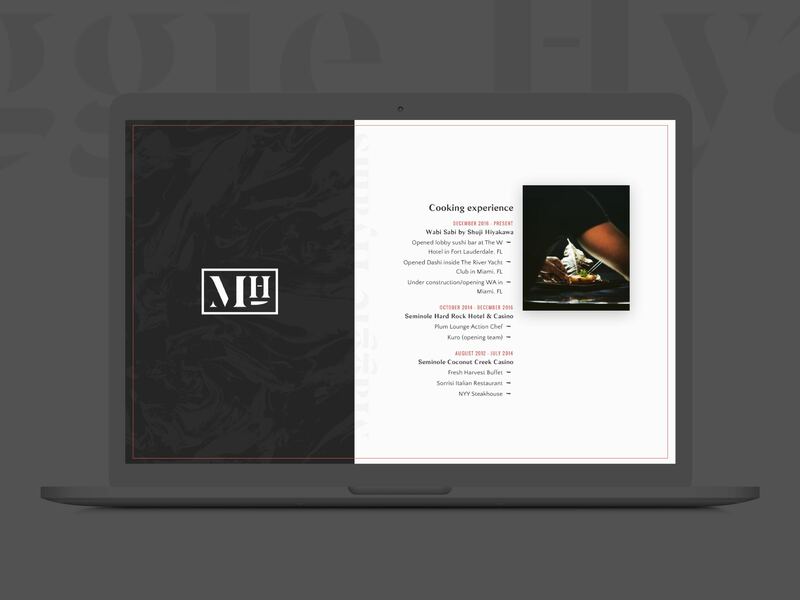 The layout of Maggie's website resembles that of a menu, with the visual identity in full use in both columns. Ancillary elements, such as the knife blade, are useful for formatting lists. 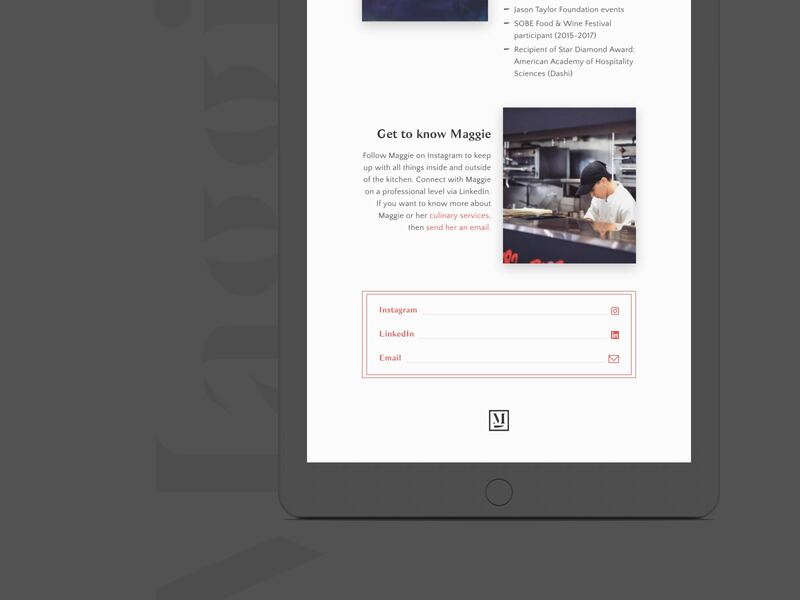 A mobile-first approach to the build ensures that the website looks great on any device.